If you think that this stimulating event will be of interest to colleagues and friends, please pass on this email. James Boswell’s biographical account of Dr Samuel Johnson (‘Life of Johnson’) was published 220 years ago this May: it has never been out of print. Boswell is regarded by many as the inventor of the modern biography. He was also the author of the pioneering travel book ‘An Account of Corsica’ as well as the famous journal outlining his tour of the Hebrides. His reputation flourished in the twentieth century with the discovery and publication of his diaries which led to his recognition as one of the greatest diarists in the English language. 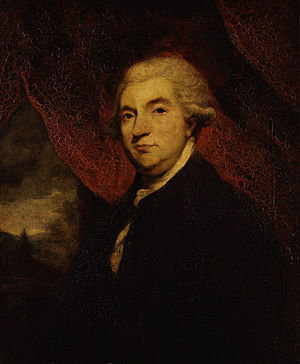 Boswell may be considered as central in ushering in the confessional memoir which is so popular today and was certainly one of the most innovative writers of the Enlightenment. As Boswell’s stature grows, nationally and internationally, University of the West of Scotland, in collaboration with the Boswell Book Festival (May 11-13 2012), is hosting a special appearance by Dr Gordon Turnbull, a leading authority on Boswell. Gordon is brilliantly entertaining and is sure to inspire. The masterclass, designed for all who have an interest in, or are involved in, the study and teaching of English literature, the Scottish Enlightenment, and social history, will concentrate on Boswell’s genius, and his unique contribution to biography, memoir and travel writing. To register for the event please click here or call ext 6400 (01292 886400).